This is a lovely family home set above the lake looking over to the city and Mt. Tauhara. Boating, sailing, Mt Biking, walking, hot pools and just plain sitting and relaxing are all on offer. This is our home and is available when we are away. Scooter our cat would like you to feed him each day you are in residence. We would love to have guests via Bookabach who have a good history through this booking channel. Large lawn and garden area. Totally private. I've stayed here a few times now and love it. Amazing spot well kept and a wonderfull home. David and Sue have a beutifull location and a very well kept and set up home. The veiws of the lake are exceptional and scooter(cat) the master of the house just made the experince even better. Thankyou for allowing us into your paradise. Thank you both for your comments and the nice note you left us. It makes a difference to have our efforts acknowledged and appreciated. We look forward to re hosting you both soon. Fantastic property that is lovingly cared for with only a short walk to the beach. Loved our stay and highly recommend. 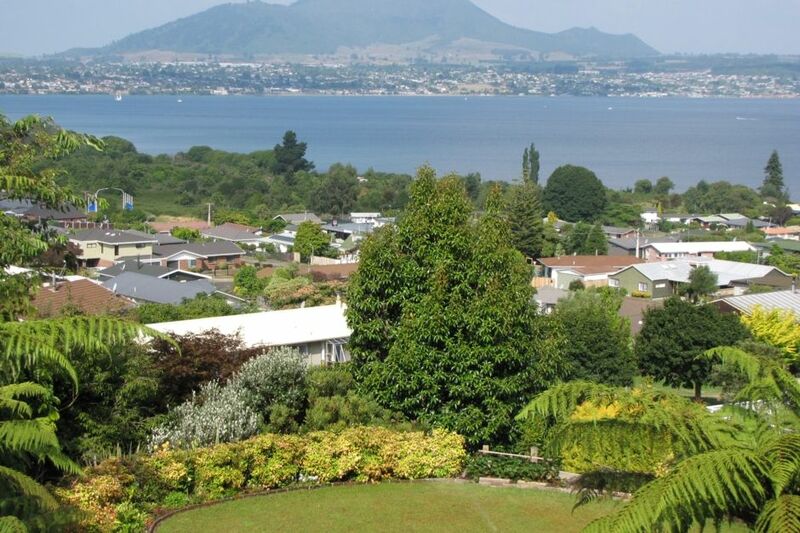 Everything about this house is Fantastic, We found ourselves sitting on the deck looking out over lake Taupo at the end of each day as the views are just stunning. The location is very private and house itself is very modern. The owners are great to deal with and communicate very well. We thoroughly enjoyed our time staying here. Thank you for being such great guests. Come again. Lovely spacious house, fantastic views. Very nice refurbished property with a Japanese theme, very comfortable, spacious and clean. Fantastic view. All the mod cons. 7 km from Taupo town centre.